Up until now, I haven’t yet jumped on the bandwagon for Project Life – but this year I’m definitely catching the fever! I love seeing so many AWESOME layouts out there with REAL every day type photos, journaling, it is fun, it is simple, it is REAL and I love that. These past few years I’ve been so so bad at taking photos and even worse about scrapbooking and/or printing them out, and when I did some goal setting for myself this fall I realized that that is certainly one of the things that is high up there on my list! SO – I’m going all in! Publicly I do here by decree that I will be documenting 2014 Project Life style. Although I’m not really the queen of consistency, I have decided that I’m going to make it happen. 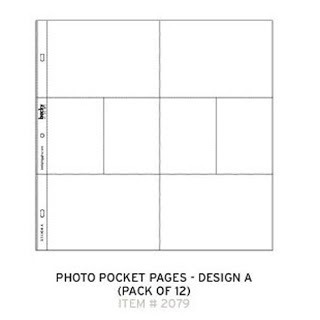 I got myself an album and a handful of “pocket pages,” and now I’m sitting down for reals and making plans about how I’m going to make this happen! 2. Set up Album: I opened up my new binder and put a pack of page protectors in (In no particular order, I’ll worry about that as I go). There are several formats of page protectors to choose from, so for starters you have to decide what you would like to use. Personally I started with the assortment just because I like variety – but if you want to keep it as simple as possible, stick to one design (design A is probably the most popular choice). As far as an album goes – Becky Higgins makes some (linked above), I believe what you need is simply a 12 by 12 inch D ring binder. Getting that album ready really kick started me into action, I highly recommend it! 3. Start Title Page: This isn’t a must, by all means wait till the end if you’d like, but this was kind of a way for me to get my feet wet before diving into the everyday stuff. 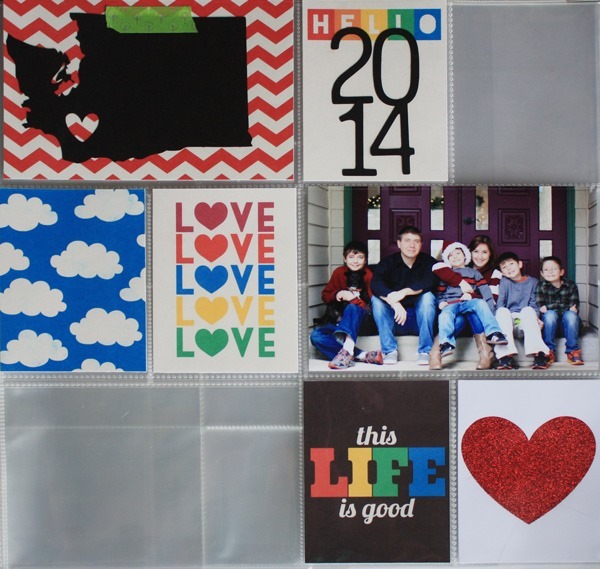 I picked the page layout for my title page and slid a family photo in there, I and then pulled a few cards from the set I have to coordinate, I think I’m going to want to add more to it but I have all year to make up my mind there – I did have fun cutting out the state of Washington with my lovely Silhouette too! 4. Gather up Supplies: All you REALLY need is your binder and pages, your photos, a fine point sharpie, and a variety of 3×4 and 4×6 journal cards. These cards can be a wide variety and there are soooo many awesome choices out there I have printed out ALL of my mix ‘n’ match journal cards from the sweet shoppe! I must tell you, they look amazing! I am also dying to cut out some of the adorable free project life cutting files I’ve found out and around digi-land! So excited that my Silhouette will be along for this journey with me!! The Life Basics – “Hello Life” Starter Kit includes 96 different coordinating cards they all come in multiple versions so they are usable at whatever size you need, and they all are SO easy to use because included are printable pdf files that all you have to do is open and print, they are pre-arranged on the an 8 1/2 by 11 inch sheet! After I had these all finished, I was able to print and use in a matter of minutes :), and because they are digital I can always print them out again if I need some more! Also, I put these together using my 6 Simple Rules kit colors so you can always mix and match with bits from that if you are looking for a few elements or papers to add! I plan to do a few more of these over time so that I have more basics to add to my arsenal so keep an eye on my store for those! 5. Start taking PHOTOS! I have one week under my belt of photo-taking and last night (Sunday) I sat down and mapped out my first week and ordered photos, so I’m well on my way in that department! I will be able to fill in the holes with journal cards I already have, and at that point I’ll jot down some memories on them too! After all of those steps, it is go time!! I don’t have my week one layout finished, but I do have my layout planned and my photos slipped in. In the end, I think the most important part is just GETTING STARTED – make the vital choices as far as how you want to do it and then GO! I have an awesome group of ladies that plan to meet at the end of the month each month so that we can work on our books. That gives me something to keep me on schedule because I will want to have all my photos and journal prompts lined up for that night. I also have decided Sunday night is my window of time reserved for gathering photos from the week, I think things like that are what will keep me chugging along! What is Project Life from Becky Higgins – super simple little animation to explain what Project life is in its simplest form – this is a great way to explain the concept to someone when they want to know what exactly Project Life is. 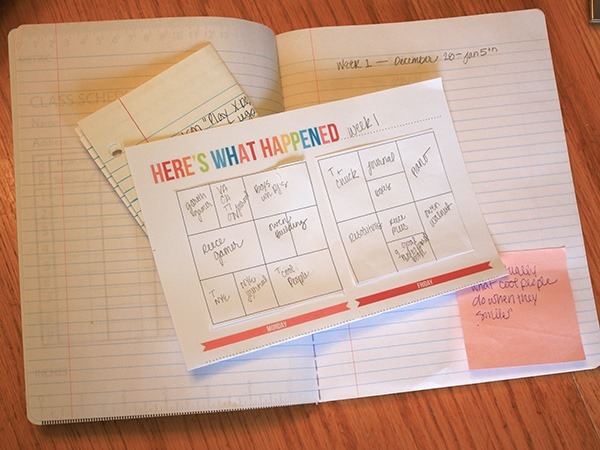 I loved this assortment of basic questions and advice from a Project Life vetran. Love these really practical tips from someone who completed their first year in 2013. This is the awesome Sweet Shoppe Project Life inspiration board on Pinterest. Do lots of googling and pinteresting and gallery browsing for inspiration! I have a Project Life Pinterest board that I like to add to when something tickles my fancy. Watching how others are doing it is helping me to get an idea of what I want to do, so many awesome people out there are making incredible layouts I want to be all of them! Well, there you have it – that is my non-expert advice and steps, I hope to keep everyone posted on my progress and maybe learn some things along the way that I can share! How to Make it as an Illustrator – Plus BIG news!!! Mixed Feelings – now in Illustrated Faith Print and Pray Shop! Learn to Create”Brush Lettering” with a Simple Sharpie Marker! OFFICIAL Handlettered Word of the Year Product LIST!